Valet and self-parking are available in the lot off Fifth Avenue. As we anticipate possible parking difficulty due to a concert at U.S. Bank Stadium, please see the map below for additional parking options. Join us for complimentary cocktail hour with delicious hors d'oeuvres before the dinner and program. Mingle in the Great Hall and bid on all our fantastic silent auction items. Stop by the MVS Studio photo booth to capture the evening's special moments with your family and friends! Special Performance by Kat Perkins! 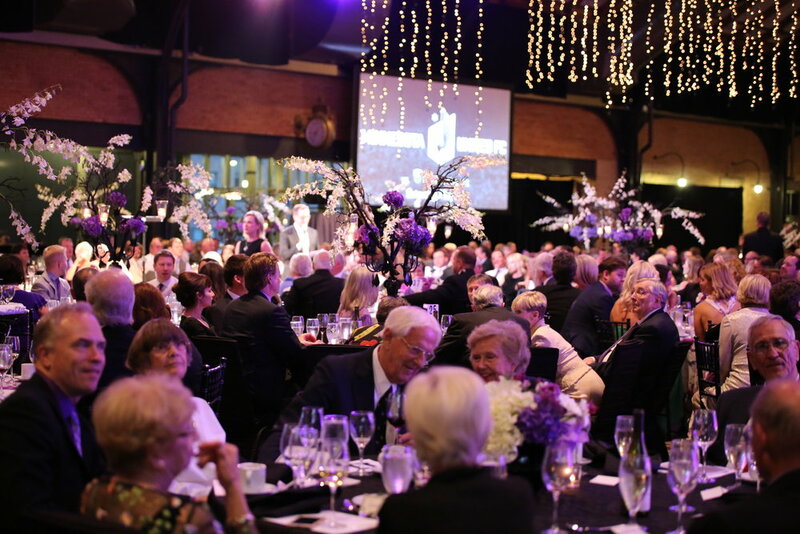 This year is our 27th Annual Purple Gala. This year's Fund-A-Service provides funding to Alzheimer's research. Only through research will we slow and ultimately halt the expanding Alzheimer’s crisis and give hope to millions who face and who will face the disease.